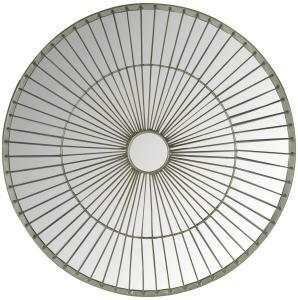 Inspired by intriguing geometry of stars in the evening sky, the Gemini mirror makes a contemporary statement with spokes of silver-finished iron for transitional and contemporary homes. Its conical silhouette distinguishes Gemini as a conversation piece. Dimensions (W*D*H): 22" X 14" X 22"